The Samsung Galaxy Grand Quattro, also known by the name of Galaxy Win in some other countries, is a quad core device for under 18,000 INR, making it Samsung’s cheapest quad core offering in the country. The phone comes with a 1.2 GHz Cortex A5 processor, and has support for dual-SIM. Among the list of competitors to the Galaxy Grand Quattro, one name which pops up first is the Micromax Canvas HD A116. Apart from Indian manufacturers, the Galaxy Grand Quattro has no competitors from HTC, LG or any other international manufacturer. 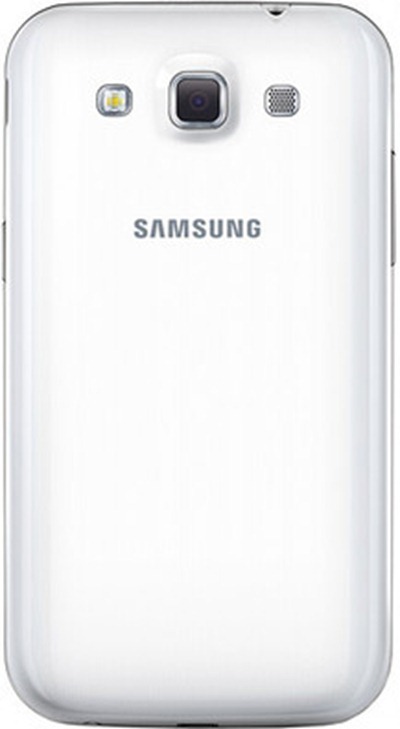 The Samsung Galaxy Grand Quattro comes with a 5 megapixel rear camera, with support for LED flash. The 5MP unit is capable of recording video up to an HD resolution of 1280x720p, however there is no 1080p recording. The videos can be recorded at a frame rate of 15fps. Speaking of the front camera, the Quattro comes with a 0.3MP unit to assist you in video calling needs. Micromax and Karbonn, among other manufacturers are providing better camera hardware at lesser price, but it would also be interesting to see the quality of the pictures on the Quattro. We would expect the Quattro’s 5MP unit to do as well as other 8MP units seen on Micromax and Karbonn phones. 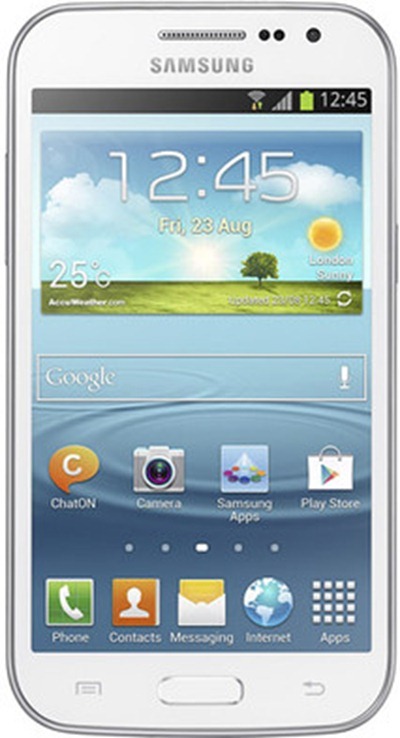 The Galaxy Grand dual core version on the other hand again comes with the same 5MP camera. So far, no complaints with the rear camera. Having said that, Samsung could have done better with the front camera, as 0.3MP is really not enough many a time, for example in low light conditions. We would have loved to see a 2MP unit instead. To speak about the storage, the phone comes with 8GB on board storage and a microSD slot which will let you expand storage to up to 32GB. The Quattro seems like a nice all round device; it comes packed with a quad core 1.2GHz processor. Although it might be important to note that these are Cortex A5 cores, and performance is not up to the Cortex A7 mark. Coupled with these 4 cores is 1GB of RAM, which again sounds pretty good and should allow smooth multitasking. The battery isn’t outstanding rated at 2000mAh, but should probably take you through one work day if you are not a heavy user. We would have liked to see a 2200+mAh battery, since the 4.7 inch screes does make up for some real estate and it would need a good amount of juice to keep that going. But keeping in mind the price, one can expect one or two shortcomings, after all you get the brand value of Samsung. On the other hand, the likes of Micromax Canvas HD, Xolo Q800 and Zen Ultraphone 701 HD also come with 1GB of RAM, but come with a quad core Cortex A7 processor which is more powerful. The Galaxy Grand which was released earlier this year also comes with 1GB of RAM, but instead of a quad core processor, it features only a dual core processor. The Grand Quattro comes with a 4.7 inch TFT display with a WVGA resolution of 800×480. Without much ado we’d like to say that it makes a very poor pixel density to have WVGA resolution on a screen as large as a 4.7 incher. On the other hand, domestic manufacturers are providing HD resolution screens, and some Chinese manufacturers are actually giving Full HD screens! After knowing that, it is easy to say that the screen resolution on the Grand Quattro is pretty much a downer. Other than that, the display also acts as a standard capacitive multi-touch screen. All in all, the Grand Quattro makes a very nice device for someone looking for their first quad core phone and who do not want to go for Indian manufacturers. But for people who do a lot of research before buying their phone, the Grand Quattro loses the upper hand due to the low-res screen and Cortex A5 cores. Considering the current state of the Indian market, the Grand Quattro possibly will do well since there are people who do not trust Indian manufacturers because of the lack of support, including service centres. People who don’t mind buying from Indian manufacturers may go for options like Micromax Canvas HD, while those looking for strong after sales support might look at the Galaxy Grand Quattro as an option. 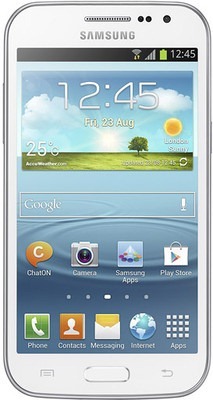 The Samsung Galaxy Grand Quattro can be bought for 16,570INR from Flipkart. One question to Quattro.. I just found time to read through many of the GSM arena reviews on this one and found a comment thts CONCERNING !!!! Quite few commented that they were not able to use the enable the data connection until they restarted the phone !! They said that they had to do it everytime they disconnected and wanted to get the data connection on !!. Is this something you too could find with Quattro? Can you please check this issue (if at all). I am planning to buy this and have no other source to be sure at my inquiry.!! we will confirm you about this once we get the review unit for the same.